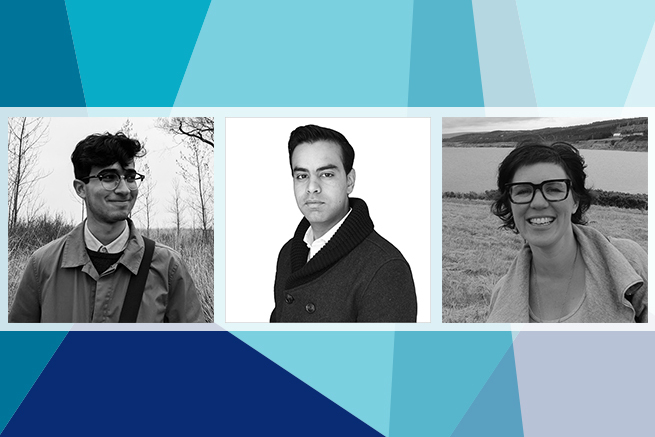 OTTAWA, July 12, 2017– The Royal Architectural Institute of Canada (RAIC) and the RAIC Foundation are delighted to announce the three winners of the 2017 Moriyama RAIC International Prize Scholarships. Each has won a $5,000 scholarship for writing an illustrated 1,000-word essay on the following topic: Please describe the moment—the circumstances, the nature of the event—when you decided to become an architect, or when you knew that your decision to become an architect was the right one. The Moriyama RAIC International Prize Scholarships are presented in conjunction with the $100,000 Moriyama RAIC International Prize. The prize winner will be announced on September 19 at a gala in Toronto, where the scholarship recipients will also receive their cheques. Gala tickets are now on sale at http://moriyama.raic.org/gala. The RAIC received 180 eligible entries in both English and French from students enrolled in Canada’s 11 accredited schools of architecture as well as students at Laurentian University, the RAIC Centre for Architecture at Athabasca University, the RAIC Syllabus Program and the University of Quebec in Montreal (UQAM). Jury Comment: Bari’s political understanding of the “double-edged sword” of architecture is profound. Growing up with dinner table conversation about international development, Alykhan Neky believed “architecture could also foster community self-reliance.” His conviction grew during a trip to Kenya where he saw a sharp contrast between local buildings versus imported architecture from the West. Neky is now exploring the role of the architect in the creation of contemporary buildings that serve as expressions of collective culture. He has proposed building designs for a rural Maasai community in Kenya which, like the vernacular tradition, would use local materials, and continue the tradition of self-building – which among the Maasai is done by women. Jury Comment: An ambitious vision for how the author plans to use his training as an architect to address third-world living conditions in a culturally sensitive manner. Jury Comment: The piece is deeply personal in the experiences it recounts, and in Southcott’s determination to address historic wrongs through her work as an architect-turned-architectural historian. A five-member jury evaluated the submissions based on the applicant’s expression of vision and aspiration, and on the strength of personal conviction. Paul Laurendeau, principal of Atelier Paul Laurendeau in Montreal and a 2016 recipient of a Governor General’s Medal in Architecture. "Thank you for the honour of this important scholarship, and for giving students the voice to help shape the conversation around critical issues facing our profession."